Link Cordoba Hostel, Kordoba, Argentyna : Rezerwuj teraz! We have special offers with 10% discount to groups up to 10 persons! 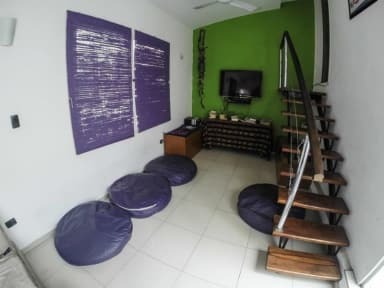 From its fantastic location in the heart of the city, Link Cordoba Hostel is the place for you to connect with travellers from around the world and enjoy feeling at home in Cordoba. 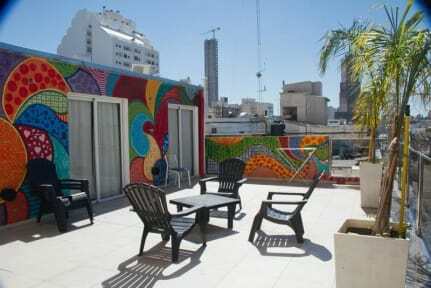 Link Cordoba Hostel has stylish rooms designed to keep you comfortable. All rooms are modern, spacious and well appointed, with fans, good lighting, separate shower and bath facilities. The kitchen is fully equipped and the TV room, bar, terrace and chill out space with barbecue amenities, are all ideal for enjoying a fun and relaxed evening. The reception staff at Link Cordoba Hostel is formed by young and friendly people who will attend to all your needs and would be happy to advise you where to find the best food, music, party and city activities. We will help you discover all those places that only locals know about. FREE typical Argentine breakfast and transportation from Cordoba's bus station if you book 3 nights with us or come in a group of at least 3 people.